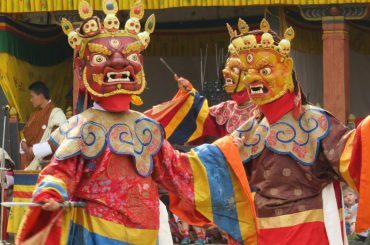 Bhutan, the thunder Dragon, is a landlocked Buddhist country in South Asia which located in the heart of the high Himalayan mountain range. It is bounded by India in south and south-west and Tibetan autonomous region of China in the north and north-west. Bhutan that was isolated from the outside world till 1960s retains all the charms of the previous world. Visitors enjoy the full glory of the ancient land and temples, monasteries and stupas, museums and beautiful forests and parks. Spring is the most attractive time to visit Bhutan when the whole kingdom is decorated by fantastic flaming red, pink and white Rododenrom flowers. The colorful hand woven textiles, traditional handmade papers and Bhutanese arts and craft are additional attractions in Bhutan. 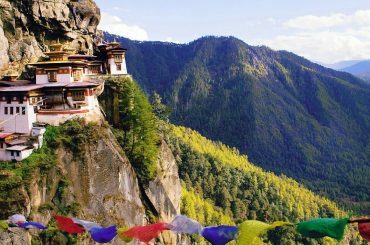 The most beautiful touristic places in Bhutan are: Thimphu, Paro, Phuentsholing, Haa valley, Punakha, Gangtey (Phobjikha) valley, Trongsa, Bumthang, Mongar, Trashigang, Trashiy Jongkhangtse and Samdrup Jongkhar.